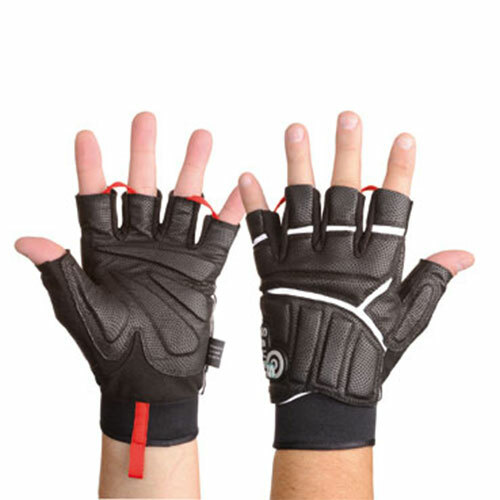 This completely new design of glove for the support hand of the sports shooter represents a new dimension in the development of shooting gloves. Previous models ware mainly designed to provide maximum padding all round. This meant that the support hand became clumsy and made only minimal contact with the rifle. The new "Premium" model from Sauer achieves the padding effect through individual Biogel pads integrated into the palm and the back of the glove. This keeps the hand supple and considerably improves tactile contact to the rifle. The open fingers also help to improve the feel. For the first time, the basic material used is valuable kangaroo leather, which is extremely comfortable to wear. The leather itself is embossed over the whole surface, creating a stippled effect which prevents the rifle from slipping. This is the way they use to measure glove. This particular glove are a tight fit. With your hand flat, measure around your knuckles-do not include your thumb.